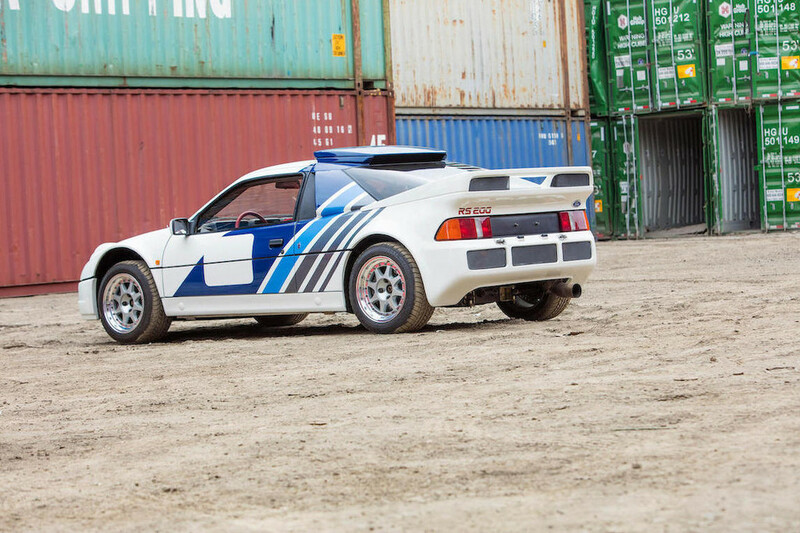 The 1984-’86 Ford RS200 was the Blue Oval’s mighty contribution to the high-speed frenzy that was Group B rallying in the 1980s, and like any Group B car, a number of road-going examples had to be produced in order for the manufacturer to meet homologation requirements. That’s how some 200 mid-engined, all-wheel-drive, composite-bodied Fords with engines by Cosworth ended up in the hands of ordinary folks, and how, this August, two of those 200 will make their way to Bonhams’ Quail Lodge Auction on the Monterey Peninsula in California. Both of these two, fine examples of Group B rally greatness were built in 1986, and each has had just one owner since 1989. There is one rather big difference, however; one is a standard car, while the other is one of 20 Evolution models ever built. 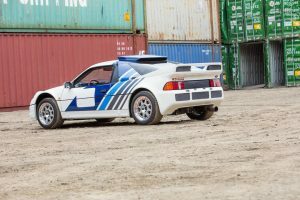 The standard Ford RS200 is no slowpoke, being powered by a turbocharged, 1.8-liter Ford-Cosworth motor rated at 250 horsepower. But the Evo, fitted with an upgraded suspension, upgraded brakes, and a more powerful 2.1-liter engine, can run circles around it. How much more powerful, you ask? The Ford RS200 Evo was capable of putting out around 600 horsepower. Both cars are being sold without reserve, although we imagine the winning bid for either will be enough to make one’s eyes water. For photos, click here for the standard Ford RS200, or here for the Evo model.